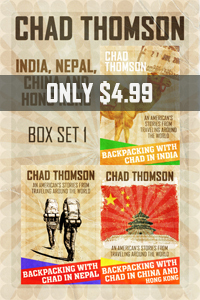 My travel ebook Backpacking With Chad In India: An American’s stories from traveling around the world is free today on amazon.com. Click the image below or link above to download a copy. Please leave a review on your blog or at Amazon if you like it. Enjoy! 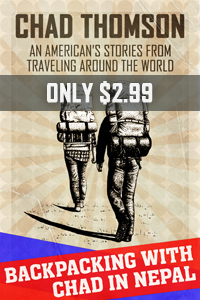 Free travel ebook today, 27 March 2014 on Amazon! 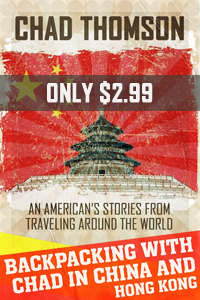 ← Backpacking With Chad In China & Hong Kong travel ebook! There you are Uncle Spike. I wouldn’t leave my British cousins out! Top of the morning to you! Pip pip! Thanks very much…. seems to work here in Turkey. That’s my very first Kindle download 😀 This old fart is getting a bit high tech! The wonders of modern technology, eh! Thanks for downloading my book! 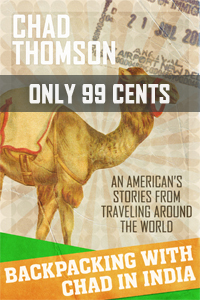 I hope you like experiencing India through the eyes of an American! Thanks Chad. I’ve ordered this and will hopefully get round to reading it very soon.